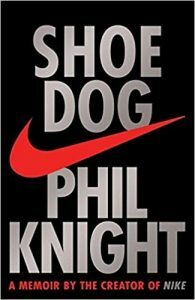 Shoe Dog is Phil Knight’s memoirs of launching Nike. Nike is one of the strongest brands in the world, but to get there he experienced a few near death moments and lots of up and downs. Shoes Dog is the autobiographical story of Phil Knight, one of the founders of Nike. Phil started out importing Japanese running shoes Onitsuka Tiger in the US. He flew to Japan to pitch the managers of the company and wasn’t necessarily expecting something to come out of it. But he got there at the right time and the CEO agreed to start him off with 300 pairs of shoes. For the next months, he would sell the shoes from the trunk of his car. Phil Knight comes before the current Steve Jobs inspired generation of traveling to India and getting into “Eastern philosophy”, so he just traveled the world instead and fell in love with the cradle of Western civilization: the Greek Acropolis. Phil Knight was so fascinated by it that he would stand for hours in front of the temple. Years later he stumbled upon a play called “the Knights”, where a king receives a new pair of shoes as a gift. Want to guess where did that take place? In the Nike temple of course. Phil Knight was a a runner himself and he had admiration for coach, Bill Bowman. While working on his Onitsuka importing business, Bill accepted to join Phil to work on it. That was great timing. Phil was training future Olympian athletes, and that was of great help to spread and give publicity to Phil’s shoes. Phil was what in the industry was referred to as a “shoe dog”, or someone who is obsessed by shoes. He would take shoes apart, then assemble then again with different pieces and parts in his search for making them lighter and more performing. However, Bill also helped with the shoes design himself. The first major sales success came from a Bill’s shoe-modified idea that Phil sent back to Japan for production. Phil Knight gives much credit to the early team of employees. He says that one of the reasons for Nike’s success was that early employees were all genius and misfits at the same time. And because they were all misfits, they were able to see past their quirks to reach the genius that most of society was missing out on. Phil Knight never micromanaged anyone (of course, the genius type wouldn’t like tat anyway). He believed in the mantra of telling people what to do and let them surprise you on how they do it. He also included the team in much of the company’s strategic decision making. Including how to the call the new company after they stopped the Onitsuka cooperation. Indeed the company wasn’t called Nike in the beginning. It was Blue Ribbon. But in 1971, when they decided to stop selling Onitsuka shoes and building their own shoes, they needed a new name. The name Nike actually came up in Jeff Johnson’s dream. It immediately reminded Phil of his previous experiences with the name (temple and novel) and they ran with it. Why Did Phil Work Hard on Nike? It might seem natural that Phil Knight would eventually think of starting his own line of shoes. Yet one of the motivator to rely less on Blue Ribbon and Onitsuka was because of Onitsuka. While Blue Ribbon was the exclusive US contractor for Onitsuka’s track and field shoes, Phil heard that Onitsuka’s was sending a manager to the US to look for other possible contractors. That proved to be a major motivator for Phil Knight to work harder on his own line of shoes. In the early years of Nike the budding company was threatened by a lawsuit from Onitsuka in Japan. To defend itself Nike counter-sued in the US. Nike won that crucial lawsuit and it was a turning point: losing it would have put the company in jeopardy. Phil Knight says that Nike’s competitors, Converse and Keds, sued Nike for an obscure law on higher imported prices for specific types of shoes. Albeit Phil had never heard of that customs law, it was real. In 1977 the government requested him to pay 25 millions. Phil Knight fully believed in his innocence, but he thought that fighting hard against the government would have destroyed goodwill. And he needed that. So he settled for 9 millions. Phil Knight wasn’t looking forward to an IPO. He regarded Nike’s culture of hard work combined as fun and play as one of the key characteristics of the company. The IPO though would have helped solving some financial issues like bank over-reliance and difficult access to major credit. And the 25 millions government lawsuit eventually convinced him the IPO was going to be helpful. He designed the share structure in a way that would allow Nike to keep control instead of becoming “just another corporate machine”. Phil Knight says that Nike managed to keep its culture and its strong ethical code, to which he attributes much of its international success. Phil Knight says that Nike rented space in sweatshops just like many other corporations did. But it was at the center of the cyclone because people knew that the Nike brand would bring more attention to the cause. He says that the company always fought hard to improve the living and working conditions of all workers before the scandal broke. In one case, it was stopped by a local government official because workers earning more than doctors would be bad for the economy. After the scandal though, Knight realized they had to try harder and do more. Reading Shoe Dog I was struck by the fact that Phil Knight was hugely passionate of sports and shoes. This made me think of books such as Grit and So Good They Can’t Ignore You. The former says you develop your passions and the latter says that “following your passion” is bad advise for most. Well, there are many exceptions to that and I think it’s important instead you do spend most of your time in something you are passionate about (or something you can develop passion for). Shoe Dog shows that having early employees and cofounders who share your dream and work hard for it is key. 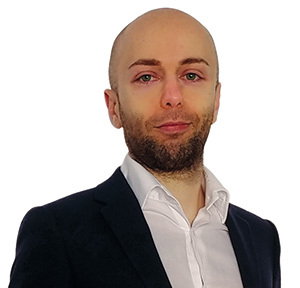 A cofounder who can easily open a few doors thanks to his knowledge and connection can be a huge, huge asset. I found the part in which Knight says that he treats sponsored athletes well to be a bit ridiculous to be honest. He prides of treating them as “real people” and not just vehicles to sell more. However, that seemed a bit ludicrous to me: athletes paid millions don’t need Phil’s special attention and friendship. if anyone, then it’s the lowest paid workers would need a bit more of that attention maybe. Shoe Dog teaches more about entrepreneurship than many entrepreneurship books. Shoe Dog is an awesome memoir. It’s well written, with a captivating story and lots of lessons learned. 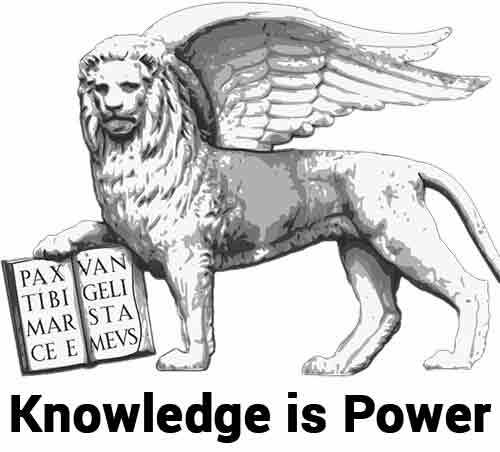 It teaches more about entrepreneurship than many books on entrepreneurship (including the difficulties of finding cash, even for fast growing companies). It also shows a lot of the power moves and dirty tricks companies use against each other. Phil Knight’s point of view is his point of view of course, and I’d be very curious to hear what Onitsuka would say about him (for a different account on the Asian sweatshops, we have that point of view: check out No Logo) . In any case, inspiring entrepreneurs can learn a lot from Shoe Dog.